Add vibrant color to your envelopes, documents & promotional materials. Go beyond with custom envelope printing. 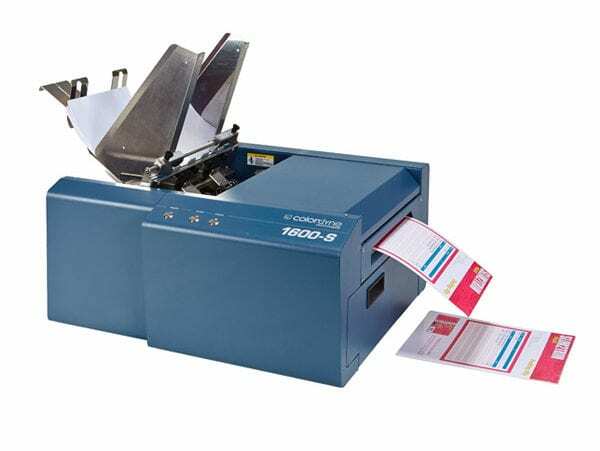 Custom envelope printing has never been easier, and with Colordyne’s 1600 Series S, you can can accomplish more. Add vibrant color and sharp, eye-catching images to not only your envelopes, but also to other documents and promotional materials. This solution enables your company to add personalization and promote your brand image in full color across all your printed materials.